Football is at the heart of many communities. That makes clubs and players alike very powerful in changing minds and behaviours. We have worked extensively with them to do just that. 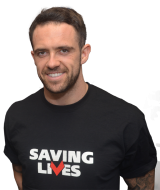 We are the first campaign for wider HIV testing in the UK to achieve the support of Premiership clubs and players. We’re grateful to them for helping us reach the terraces.